Note: Check out new Natural Balance Coupons below. It’s time to put your pet on a vegan diet. With this Natural Balance discount coupon, you’ll get $2 off on the 15 pound bag or a larger package of the Vegetarian Dry Formula (expired – new coupons below). Furthermore, the coupon can also be used for a whole case purchase of the Vegetarian Canned dog food formula. To avail of the offer, simply print the coupon, cut it out, and bring it to a local pet store carrying the Natural Balance brand. Coupons can only be used once and can’t be combined with other offers. Only one coupon is honored per purchase. 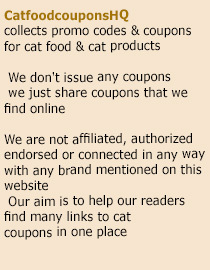 Users are required to fill out all the information required on the coupon. Be sure to print clearly and write legibly on your coupon for it to be duly honored at the stores. This coupon offer on the Natural Balance Vegetarian Dog Dry or Canned food formulas is one way of giving VegNews readers a special bonus. Natural Balance’s Vegetarian Dry Dog Formula offers adult dogs all the nutrients necessary in a dog’s meat-based diet. This makes this formula the best alternative to the usual diets dog are given. The formulation includes brown rice, oatmeal, fresh potatoes, and green peas as protein, carbohydrates, fiber, and vitamin sources. But do note that the coupon can be used for either the 15-pound or the 28-pound bag, but not on the 5-pound package. The vegan dog diet is recommended for pets with picky stomach, especially those that can’t tolerate meat-based formulas. If you are a vegetarian yourself, there’s no reason why your pet can’t follow the same lifestyle. With the Natural Balance Vegetarian dog food diet, you will even save lots of pennies for your every purchase. After you like their Facebook page click on the “Unlock the download” button and you’ll be able to download and print their coupons page. These coupons expire on 12/31/2015. Petco.com has many savings on Select Natural Balance dog and cat food and treats. Check out all discounted products at this page. This entry was posted in Natural Balance Pet Foods. Bookmark the permalink.